Here’s a great opportunity for new funding for the arts in Philadelphia! Start dreaming up your best idea and get ready to apply on October 5. In the meantime, you can Like the Facebook page here. Dream Big & Give Us Your Best Idea! The John S. and James L. Knight Foundation is bringing new support to the Philadelphia arts community and we want to hear your big idea for the arts. 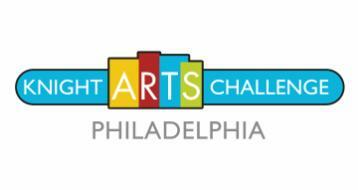 On October 5th, we’ll launch Knight Arts Challenge Philadelphia – a three-year, $9 million initiative that provides new funding opportunities to the steadily rising Philadelphia arts scene. Like you, we believe the arts inspire and enrich communities. The momentum of the arts in Philadelphia has inspired us to seek out the most innovative ideas from this thriving creative community. Great ideas can start anywhere, so the challenge is open to everyone – established arts institutions, independent artists of all types, businesses and service organizations. Be sure to visit KnightArts.org on Tuesday, October 5th to find out how you can submit your idea, and look out for more details coming soon.